Don't even think we plan to step into the minefield that surrounds what premix you should run in your 2-stroke. What you run is the best. What your friend runs is the best. And you can probably find just as many opinions on the starting gate of the 125 Dream Race for the best premix as you will when debating the Marvin Musquin take out of Eli Tomac in Foxborough. Instead, we'll give you the types of premix available along with some properties and what the guys that ride at MotoSport generally prefer. We'll also cover that pesky gas to premix ratio and how to mix it. Then let you decide. Generally speaking 2-stroke premix is oil thus lubrication. It mixes with gasoline, burns off as you ride while lubricating the piston and rings so they don't stick to the cylinder. Forego premix and expect a seized piston or burned up engine rather quickly. Premix is also not the same as regular 10w-40 type engine oil so don't mix that with gas for a quick and dirty premix solution when out of regular 2-stroke oil. Only use 2-stroke oil. Just like regular motor oil several types of premix exist and some work better than others. Premix 2-stroke oil does not come weighted however carefully consider the ingredients (what the premix consists of) and like any engine you might find through a bit of testing one works better then another. Mechanic's Tip: Oils have a film strength which refers to how well it prevents engine parts from rubbing against each other. The higher the film strength the better protection. Straight from the ground petrol-based 2-stroke oil works much better in lawns mowers, chainsaws and the like. Not a dirt bike or ATV. Petroleum based premix does not burn as well but most importantly does not have the lubricating properties necessary for optimal performance of the 2-stroke dirt bike engine. However, MotoSport sells select brands of petrol-based 2-stroke oil because of the additives that provide extra lubrication and heat protection. Film Strength Protection: Low. Castor lubricates your colon as well as the inside of a 2-stroke engine quite well. The lubricating properties perform exceptionally and protect the engine very well from heat. Unfortunately it's pretty dirty. In fact, over time castor-based premix gums up the power valves, piston rings and other components and leaves significant carbon deposits on just about everything. So, if you don't mind the gummy mess and carbon clean-up, which regular maintenance addresses anyway, castor-based oils work well. Also, keep in mind that castor separates from gasoline in cold temperatures so if you ride in the winter or any cold days you probably should save the castor premix for the summer. Several MotoSport employees use castor and some versions like Maxima Super M have formulations that reduce the build-up. Film Strength Protection: Highest. Like the Van Halen compilation album "The Best of Both Worlds" semi-synthetic 2-stroke oil offers the best of both worlds for 2-stroke engines in terms of lubricating properties and clean burn-off by mixing synthetic and castor oil. Unfortunately not all blends are created equal so be careful of the synthetic to castor ratio. We have found an 80/20 synthetic to castor ratio offers the best of both worlds for premix. Film Strength Protection: High. 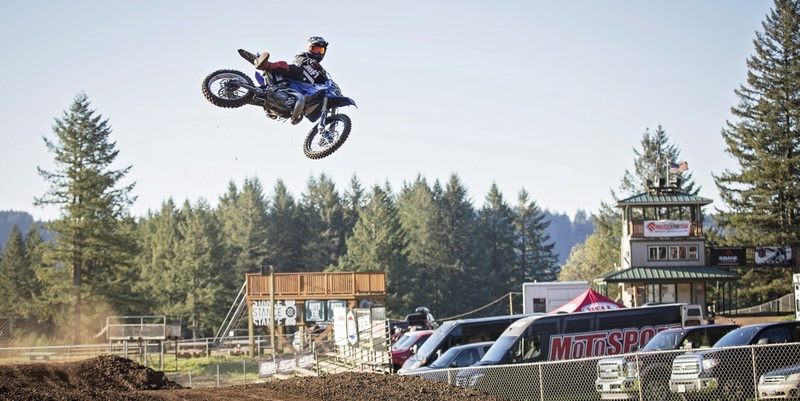 A favorite among MotoSport riders, full synthetic premix comes from synthetic compounds called esters. Synthetic oil mixes the best with gas thus making it more consistent (no cold weather worries) but does not have as high lubricating properties or heat protection as castor oil. It also tends to leave behind a chalky residue in the exhaust port, not nearly as bad as the breadth of carbon from castor, but still requires cleaning or you risk the powervalves hanging up. Film Strength Protection: Medium. Overall, MotoSport sells all four types of oil including petroleum based but only those that also come with the needed additives for lubricating and to guard against heat. 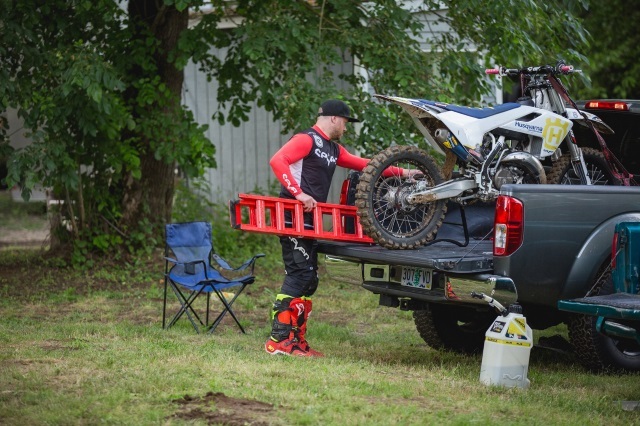 Once you have picked up the best 2-stroke oil for your ride, now what do you do with it? Mix it with the gas of your choice! The best gas does not contain ethanol however the prevalent use of corn-fed fuel tends to make that a bit hard so just don't use gas containing more than 10 percent ethanol. You can use premix in any grade octane from the pump or even race gas if you choose that route. 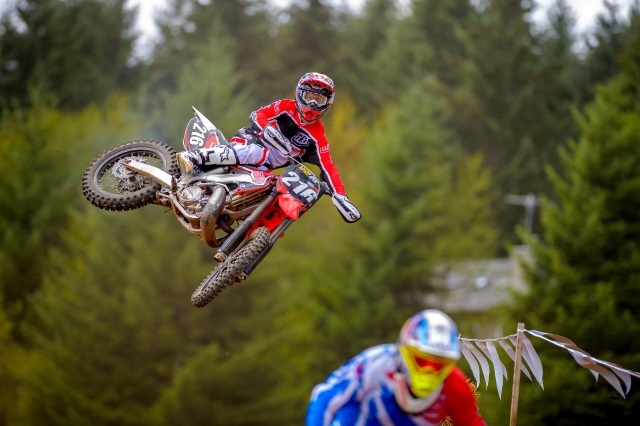 For more information on the best gas for your dirt bike or ATV check out "87, 89, 92 or Race Fuel - What Gas to Use in Your Dirt Bike or ATV." In the past, manufacturers often recommended a premix to fuel ratio of 32:1 but many factors come into play when deciding on the right ratio for your 2-stroke. Engine and carb tuning, as well as elevation, all determine the right oil to gas ratio. Thus, you may find a ratio of 40:1 or even 25:1 works best on your ride though most bikes run between 60:1 and 32:1. A general rule of thumb says to use as much oil as possible while still maintaining a crisp engine. Expect a seized piston if you ride without any premix and running too much fouls the spark plugs. Older non-power valve 2-stroke engines, air cooled bikes and ATV dune riding work best on a 32:1 ratio. Modern 2-stroke bikes call for a 60:1 ratio which veteran riders flinch at after the once popular 32:1 ratio so instead settle on 50:1 ratio along with some extra spark plugs, just in case. Use a measuring cup and pre-mix the premix in a gas can so you get an accurate ratio as opposed to pouring separately inside the gas tank. Fill the measuring cup to the indicator line underneath the number of gallons to mix. So, if you have a two gallon gas can fill the measuring cup to the indicator line underneath the appropriate or indicated gallons. Pour the premix into the filled two gallon jug of fuel. You can leave leftovers in the jug but shake well prior to the next riding day to ensure proper blending. Empty the jug of fuel before making a new batch. No need to end your riding day on an empty tank however if you don't plan on riding for a month or two drain the carb of fuel so it doesn't gum up.